None of the devices Cesar Sayoc sent last year exploded, and it still isn't clear whether they were designed to go off. Pro-Trump mail bomber Cesar Sayoc affirmed his guilty plea Monday at a hearing in Manhattan federal court triggered by two letters he sent to the judge insisting he was under pressure at the time of his plea and raising questions about whether his explosives-filled packages were lethal. During a back and forth with U.S. District Judge Jed Rakoff, Sayoc said he didn’t want to withdraw his plea, and admitted that he knew the 16 devices sent in the mail to former President Barack Obama and other Democrats could have injured property and people. But he continued to insist that his motive wasn’t to kill. “It was just to scare and intimidate,” said Sayoc. Cesar Sayoc pleaded guilty to 68 counts Thursday, including charges of using a weapon of mass destruction. “They had the capacity to explode if properly constructed, but they were not,” responded defense lawyer Sarah Baumgartel, who has received the report in discovery. Prosecutors declined to make the report available afterward. Sayoc, 57, of Aventura, Florida, and an avid backer of President Donald Trump, pleaded guilty on March 20 to 65 felony counts for sending the devices to figures ranging from Obama, former presidential nominee Hillary Clinton, actor Robert De Niro and Democratic funder George Soros. At Monday’s hearing, Baumgartel told Rakoff that waiting for his sentencing was hard on Sayoc. The judge agreed to move it up from September to Aug. 5. Sayoc could receive life in prison. 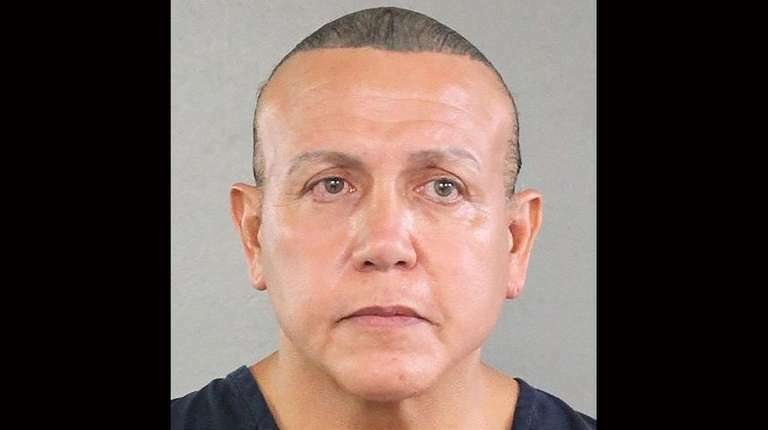 Man pleads guilty to sending bombs to Trump criticsDuring the brief court appearance, Cesar Sayoc cried and said he knew what he did was wrong.